FINE GAEL WILL need to add two more female candidates to general election tickets with five constituencies still being considered. The party’s national executive last night confirmed the addition of former junior minister John Perry to the Sligo-Leitrim election ticket after he settled his High Court action against Fine Gael. This has brought its total number of candidates to 84, including 24 women or 28%. Under gender quota rules, Fine Gael must ensure 30% of its Dáil hopefuls are female or face a halving of its state funding after the election. The party has now added 11 candidates in total, including five women. At least two more will be needed to hit the 30% target, assuming no other men are added. Party sources have confirmed that the constituencies of Cork North-Central, Clare, Dublin Fingal, Louth and Wexford are still being considered for additions. Election tickets are likely to be finalised early in the New Year. Councillor Mary Howard is expected to be added in Clare alongside incumbent TDs Pat Breen and Joe Carey, although this has yet to be confirmed. Earlier this month, Howard told Clare FM she was still in the dark about whether she’s being added. A woman candidate may also be added in Wexford where government chief whip Paul Kehoe is running for re-election alongside senator Micheal D’Arcy. 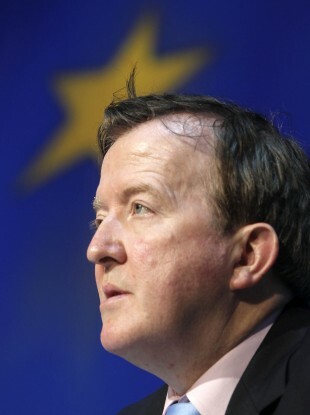 In Cork North-Central, the addition of a female candidate alongside junior minister Dara Murphy would come at the expense of Senator Colm Burke. He narrowly lost the selection convention in September and has been pushing to be added to the ticket since. The party is examining the case for adding a woman candidate in Louth where councillors Dolores Minogue and Sharon Tolan are both under consideration. Meanwhile, the addition of a female candidate in Dublin Fingal would put significant pressure on Children’s Minister James Reilly and sitting TD Alan Farrell. Reilly told the Sunday Independent last month that it is unlikely Fine Gael will take even two seats in the five seat constituency. Email “Perry's Christmas miracle leaves Fine Gael needing at least two more women ”. Feedback on “Perry's Christmas miracle leaves Fine Gael needing at least two more women ”.